UMD’s boxing club was started two years ago by Thomas Tran who was at the time a junior. The club meets two to four times a week, usually Mondays through Thursdays at Lorenzi’s boxing gym in Proctor. Tran said that after a couple sessions at the gym he was able to connect more with the owners and the regulars at the gym. Tran thought it would be a good fit for both the club and supporting a local business. 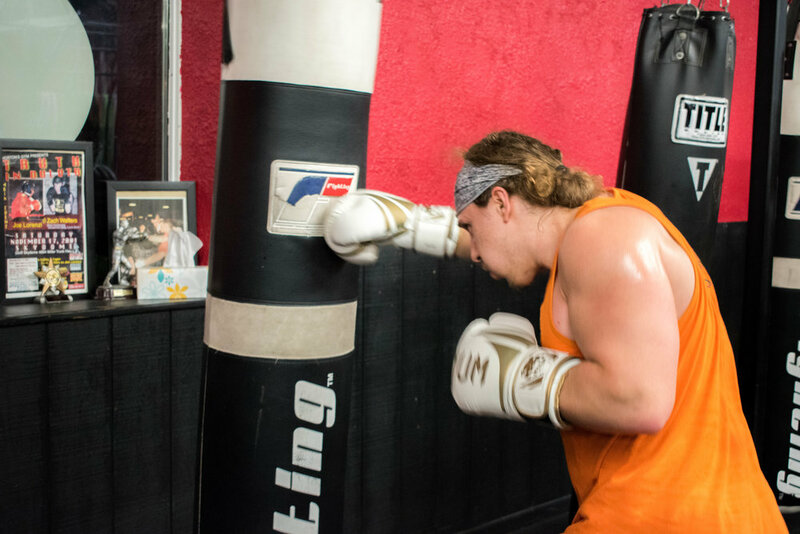 Senior Jared Richner is the club’s current president and he like Tran believes that boxing is a great way to let off some steam and get in a great workout at the same time. The club’s vice president, sophomore Montana Bahr said she grew up in a family of boxers, and when she came to UMD she was looking for something that reminded her of home. Fighting isn’t a requirement to be in the club. The club is about coming together and learning a skill said Richner. Over time, the club has grown from five or six members to about 20 regulars this semester. For new members looking to join no prior experience is necessary and starting equipment will be provided. Richner suggests going on Wednesdays during the gym’s $5 discount nights if you’re considering joining. There is a fee of $110 for joining the club. $100 goes to the gym to cover the membership fee and the other $10 goes to the club to pay for an end of the season pizza party to celebrate. Check out the Boxing Club’s homepage for more information about joining.